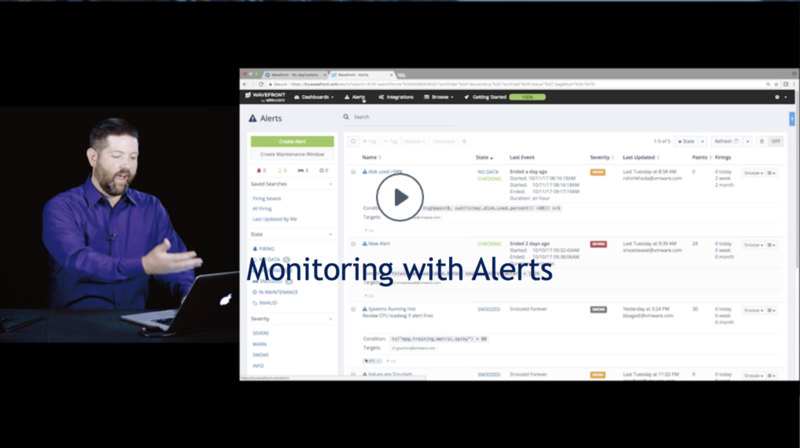 Learn how alerts work and how to use them. Jason explains first why intelligent alerts are so useful. He then explores the Alerts browser, which gives alert details such recent changes or which alerts are firing. He also shows different filtering options on the Alerts browser. 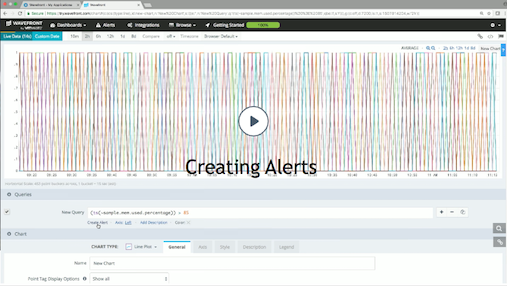 Watch Jason create an alert from a chart. The alert fires when the used memory percentage is greater than 85 percent. Jason uses backtesting to determine the optimal settings for the alert and adds a display expression to make problem solving easier. Finally, he discusses different alert targets and creates an email alert target. 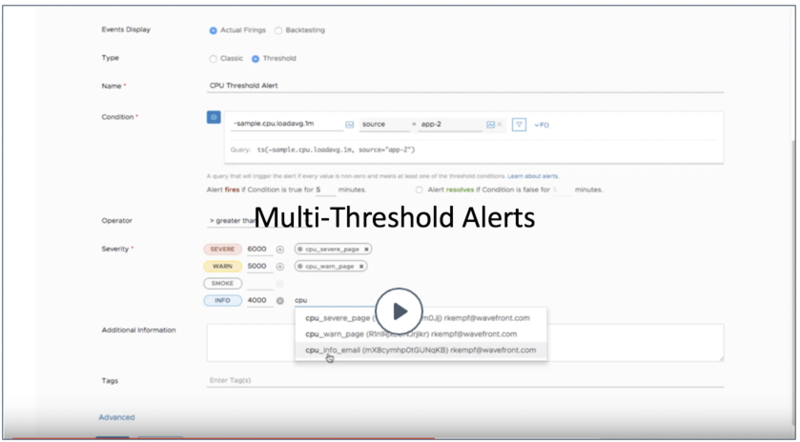 Watch the creation of a multi-threshold alert, which will send notifications to different alert targets depending on the severity. Learn also about the alert firing behavior of a multi-threshold alert. 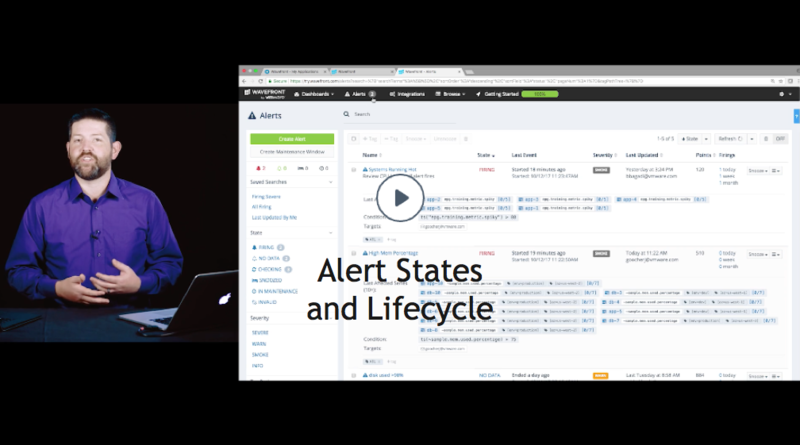 Jason uses the Wavefront UI to illustrate the different states that an alert goes through: Checking, Firing, Resolved. He discusses that alerts resolve when the threshold value is not true - no data meets that condition. You can use severity levels to classify alerts. 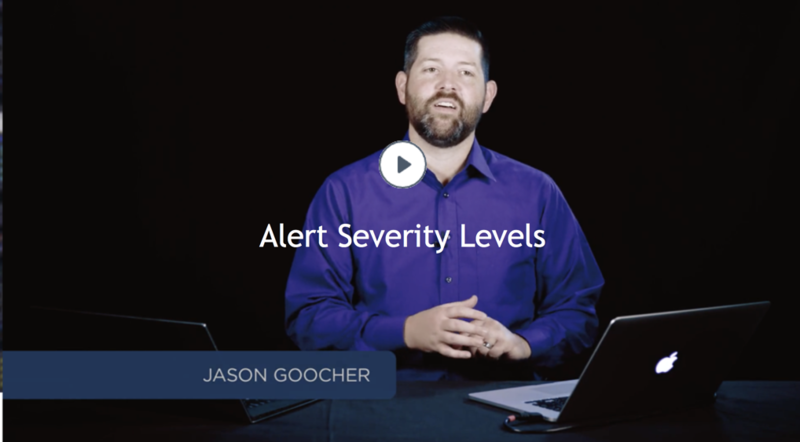 Jason shows the levels (Severe, Warn, Smoke, and Info) in the Alerts browser. Severity levels have no impact on how or when the alert fires, but make it easy to see urgent problems at a glance and enables filtering by severity. Maintenance windows stop alerts from firing, reducing distraction for recipients and resulting an faster problem resolution. 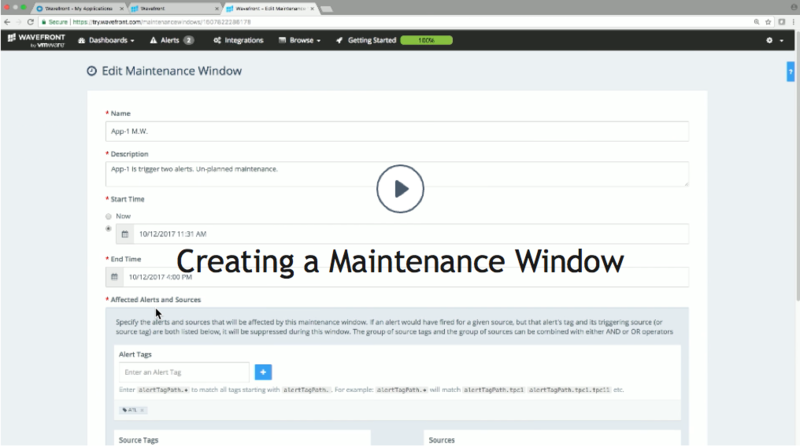 Watch Jason set a maintenance window so that an alert won't send notifications when you're in the process of doing an upgrade or solving a problem.